MOOCs, or Massive Open Online Courses, are increasing as more universities announce this option. MOOCs do not require university enrollment and are generally (but not always) offered free of charge. There are no geographic restrictions or state residency issues. They are also flexible and low-risk endeavors, and their informal structure makes them ideal for busy modern schedules. In addition, the student can decide which activities they wish to participate in or forgo. Because MOOCs are so adaptable and budget-friendly, they are an excellent consideration for librarians who wish to further their education. Some MOOCs are active and have specific enrollment periods, while others are archieved. The main difference between these formats is that an active course offers opportunities for student interaction and graded assessments, whereas an archived course is static, self-paced, and has no assessments. In addition, active MOOCs sometimes offer various types of formal recognition upon successful course completion, such as a Statement of Accomplishment or Badge (free of charge) or certificate (usually at a cost). MOOCs are offered in a variety of subject areas, so a librarian wishing to gain additional knowledge about a subject has many options. Thus, MOOCS are an ideal way to gain additional training in a skillset and find new resources to help patrons, such as subject-specfic professional organizations and field experts. MOOCs offer a variety of class materials such as videos, articles, podcasts, and recorded lectures and message boards. Because MOOCs are free classes, students do not receive credit, official grades, or feedback on projects or written work, and at this time, MOOCs do not count towards professional licenses. Furthermore, the lack of fixed deadlines means that it can be challenging to keep up with the course units. Despite these potential drawbacks, MOOCs can help a person develop ideas for future career plans and make contacts. As is the case with any new resource, it is of course necessary to vet each individual MOOC offering to make sure it is appropriate for one’s learning goals and stems from credible sources. As previously stated, because a MOOC is usually free of charge (and thus has no financial transactions), there are fewer risks of online scams; however, it is of course still important to verify that the given website is legitimate, appropriate, and helpful. Importantly, if a student elects to take a paid course, then it is a good idea to contact the institution directly both in writing and by phone to verify that the course is indeed legitimate, ensure that all details are taken care of, and inquire as to the possible benefits and drawbacks of the paid certificate. Secondly, it is probably a good idea to check and see if another university offers a similar or equivalent course of study at no charge before considering a paid option. By similar reasoning, if a course says it is free, it is of course a good idea to verify that it will never incur any cost before agreeing to sign up. As with any online environment, it is important to use these resources with care to protect one’s safety and privacy. Another practical consideration is to make sure that you do not sign up for too many MOOCs at once because it will likely be very challenging to keep up with the work in relation to other demands on one’s schedule; that said, a person could also keep a running list of MOOCs they wish to take after they complete their current course(s). If a person signs up for a MOOC, it is advisable that they set up their browser to take them directly to the class portal so they can access the course easily and quickly. Although MOOCs are not equivalent to for-credit courses, they are very helpful resources for librarians. They also help connect our field to other professions and give us new ideas. Secondly, as a group, we may wish to consider offering more continuing education courses specifically for libraries and librarians. 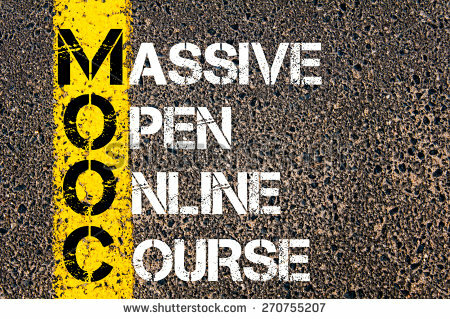 Because they offer an array of advantages and very few disadvantages, I am convinced that MOOCs are an important and useful resource, particularly for our interdisciplinary, information-intensive profession.